Liability Lil on Holidayze, Hip Swinging & Some Kamakazi “Karring” across the Desert. 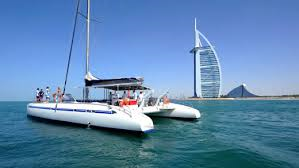 In our Doobying in Dubai adventures thus far, we have “swum” with the fishes, waded in Wadi waters, and “kaused” kayak “khaos”, not to mention the regular downing of large brandies, and the lying in darkened rooms seeking enlightenment (no smart comments about switches and bulbs please). We are now at the mid-way point of this tragi-comic travelog and still alive, just about. The next day was spent idling on the beach, and I mean idling. No swimming, no paddling, no acrobatics. Just-a-laying on the lounger, slathered in factor for fair folk, Evian facial mist and a large “bockle” of Water. Safe as houses. 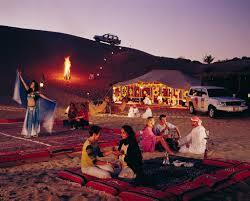 That evening, the duney desert beckoned. 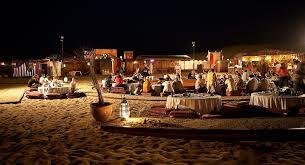 The hotel organised trips a bit further afield, a bit “Romancing the Stone” without Michael Douglas, where Polly Punter gets brought to the Desert, driven over the Dunes, served “Dinner” (uses term loosely) and beholds Bedouin dancing. Due to medical circumstances beyond my control, God, (YET AGAIN), was excused from participating, So he came along later on his donkey like Joseph, while Mary went on ahead solo, #saddo. The peeps organising the evening, put me in with a very nice English family. They welcomed me into the jeep with seriously pitying looks on their faces. Awh bless, Sally solo on her own, kinda looks (reminiscent of ye gondola story). We had Mammy, Daddy and two kids (one of each), plus Muppet me, in zee jeep, with Animal the Psycho Driver. Oh boy!!! He was fine on the motorway journey, which lasted about 45 minutes and was about as scenic as driving through the midlands on a foggy day. But when he hit the sand, he went foot to the floor on the accelerator. Unfortunately, due to my being the single supplement, I was sitting in the front passenger seat. And it was kinda cool on the “up-ski”. 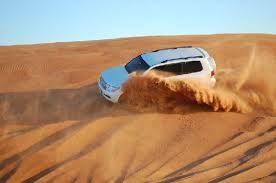 The wheels have amazing treads that can keep their grip on the sand without problem. Up and up we went. As that lovely man Isaac “Gravity” Newtown once said “What goes up must come down”. and Animal flips the jeep, over the top. STOMACH IN MOUTH (was nearly screamed out onto my lap). 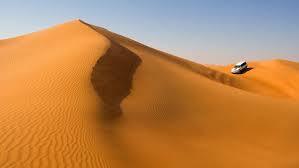 We were doing a sheer vertical drop down this multi foot high sand dune. EEEEEK. I thought we were dead! The gang behind me were screaming. I was bellowing. All this while, “Said the Sadist” was laughing in a muhwahhhahaha kind of way. ANYONE GOT ANY “QUELLS”? And then half way down , he swung the jeep around a full 360 spin. The jeeps have this “multiple wheel drive” vibe going on you see, and the drivers lock the steering wheel hard, then whoosh wheel it back in the opposite direction. It’s crash test craziness. It was mental. Well, it was pretty awesome in hindsight, but it was mental in the moment. 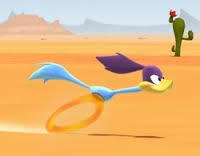 He went up and down dunes like a rubber roadrunner. Up down, twist turn, and then, he started doing handbrake turns and wheelies. Lewis Hamilton eat your heart out. This was a nut-job driver’s dream job. Fair play to him though, he was some driver. By the time he finished the gig, we were very Elvis – “ALL SHOOK UP”. Legs and brains buckled (and not from alcohol for a change – YET), we got out of the car and wobbled over to a seating area, bedecked with cushions and “soft furnishings” as they say. It was an extremely large sandy square surrounded on one side by a low, one storey building, in which the dinner and ents would be held later on. For now though, they gave us some class of drink, it had alcohol “innit”! is all I know!! (See above – you just knew it wouldn’t be long before alcohol would be in the mix). We (I) necked it, and our bodies resumed a more relaxed pose. HAH! Next up, the camel ride! I was like “you’re shitting me” (I really should read the blurb more carefully), and, they’re like, “nope”. I get put on this camel, no easy feat. Smelly stinky bloody thing. However, luckily I can ride (horses), so I do at least know that when an animal is getting up it leans down in a forwards motion before it goes up. So I was braced for that. Unfortunately, the Mammy (from the family) wasn’t, and got thrown off. Ouch. 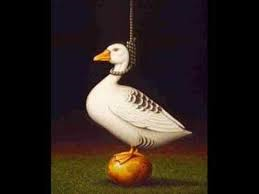 Well “Humpty” was a dote, albeit a smelly one. Off we trotted, him roaring (#camel-noise) as they do, but it was all good. Boing, bounce, boing, bounce, we went around the compound and over a small dune. Nothing too taxing. Humpty behaved himself impeccably. Until we came to a halt. Obviously, he had to lower himself down, in order for me to ‘disembark’. But he wasn’t in the mood. The camel-herd started smacking him with a long stick, which seemed to make Humpty even more belligerent. Now, God had joined us by this stage, so he stepped in (hater of animal abuse) and took the reins and led the poor beast until he managed to get him to “sit down” (do camels sit?). He was the sweetest thing. He even leaned sideways to let me off. Altogether, AWH . This was turning into one of those evenings that you seriously regretted not having a camcorder with you. Now for dinner and dancing! WOOski. The food was a bit on the eat with “caveat” side. There was chicken – suspect! Some kind of beef – also suspect!! **you know when you aren’t 100% convinced named food isn’t actually what it says it’s meant to be! Stuffed apricots – lovely (noms). Then THEN they came out with – and here I’m re-referencing “Romancing the Stone” – “insects”. I thought I was going to hurl. Em, Roast Scarab aka Cockroach, not for me – “NO THANK YOU”. Speciality seemingly. Eugh! So, I had a glass of something alcoholic instead. There is an alcoholic trend forming here isn’t there. Well, you gotta do something with yer hands! 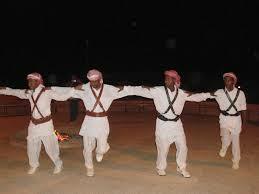 Then we had the hugely entertaining Bedouin dancing. All was well until they decided they wanted audience participation. Up we had to get. It was just the funniest thing. Belly dancing is sooo me – my hips were just made for it. Then we all had to do ring-a-rosy meets the can-can. It was a riotous comedy. Most unrefined. Great Fun. At this stage the parents of English family were pissed, obvs not big drinkers #orIrish. They were pricelessly funny. The dancers had taught us a wee dance and then had us perform it ourselves. Daddy fell over Mammy and both ended up in a sodden crumple on the ground. Gales of Laughter. And that was that. The evening had come to an end. Into the jeeps and off home with us. It had been a top night – adventurous, traumatic, interesting, new, funny, entertaining – something I would heartily recommend anyone visiting the UAE to do. The desert is breath-taking, especially at sunset. It is even more spectacular under a full moon and sky full of stars. I hold the memory dear. Best night of the holiday for sure. 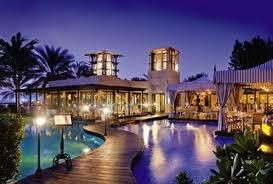 As is becoming a habit, I’ll leave you with this blast from the past – “Midnight at the Oasis”. I’ll see you again soon, with more tales from zee HOLIDAYZE. So, to quickly summarise our last #Doobydoo – #WATERYWILDWADINESS aka #SCREAMDOWNTHESLIDE, rapidly followed by a quick snifter and a long lie down! Pulse normal. Breathing normal. Everything else normal?….Don’t push your luck! 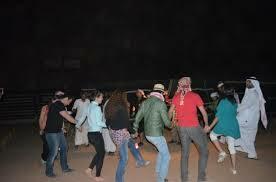 God and I were due to go for our first “el-posho” meal the very same evening of the Wadi-wobbles. We had a table booked in the “Al Mahara” restaurant in the Burj al Arab – see link for detail and wowsers photos – so some serious glamourising was required!. Mucho make-up, Louise Kennedy magenta beaded top, silver sandals, check check check. Hair? Well, you can’t win ’em all! 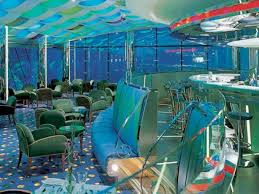 The “Al Mahara” is an “underwater” restaurant in the Burj which is accessed via a lift decked out as a B Movie submarine. You’re escorted in by the ‘Captain’ who then closes the door, switches on the engine and submerges the vessel undersea, no decompression required! All goes quiet, apart from that metallic “Titantic going under the waves” cranking groaning noise you get in marine vessels. The ‘submarine’ shudders a little and then lands on the “bottom of the sea”. The doors open, and voila, lights, camera, action. 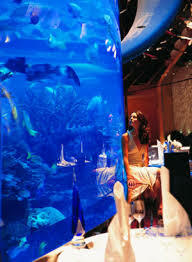 You walk out into a gold shell like affair, facing a glass wall behind which, is a larger than life size aquarium. 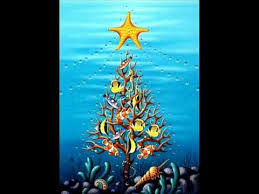 You are now officially under the sea, “swimming with the fishes”. 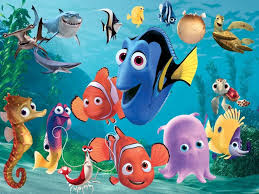 It was like being surrounded by the cast of “Finding Nemo” – little beady eyes were watching from between the fronds. So natch I couldn’t eat fish – well it wouldn’t be right would it, with all those little “gillies” looking on at you eating their siblings, cousins, extended family! We decided to blow the budget and chose the 6 course tasting menu with wine pairing e.g. 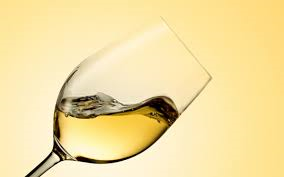 wines chosen by the Sommelier to match each course – aka – how to get langered in 6 easy stages! The menu was stunning, the food even “stunnier”. In deference to my fishy friends, I let God eat the fish based dishes, but obvs I held onto the wine, thereby ensuring a fast-track to “pissendom”. We started with the mandatory glass of champagne on arrival, followed by “l’amouse bouche”, some flummery ‘one midget spoon’s worth and it’s gone’ affair. It was all very swish, very slick, and very, very intoxicating. We worked our way through the various dishes with half glasses of the Sommelier chosen wines (well restaurant sized measures as opposed to wine o’clock goblet ones). 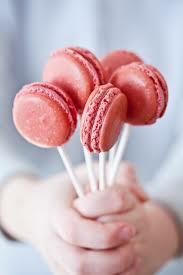 The dessert was one of those ‘plata mor’ teeny creation affairs – scoff, scoff gone. Then we had coffee and a liqueur (sure why not) – I do believe mine was an Armagnac which I dispensed into said coffee and drowned with brown sugar. It is a well known fact that alcohol lingers in the bloodstream, riding the tide around the body beneath shoulder level, until such time as the body wants to stand. Then wham bam and whoosh, straight up to the brain, which is immediately discharged of all responsibility towards feet and legs. #WibbleWobble, HorseyHobble. Using the aforementioned God as my personal zimmerframe, I made my way, with himself, up to the SkyView Bar, in a “sure the night is only young” airy attitude, as you do. 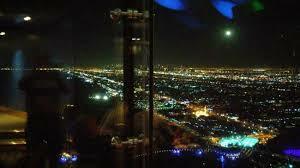 We had another glass of vino and looked out on the splendiferous aerial views of Dubai (the Burj is 321m or just over 1,000ft high). The view is beyond awesome, especially at night. After we were done quaffing, we decided to call it a night – easy decision really, we could barely speak, think or move – and literally, in very un-6 star disgraceful fashion, fell into lift, across the lobby and out the door, whereupon we were hoisted by very kindly by patient staff into a golf buggy laid on to take patrons between hotels. Of course, we thought this was hilarious; cue big fit of very childish giggling, rapidly followed by the one thing that Irish (and half Irish half Welsh) folk do everywhere they go, after they’ve had “scoops”. Yep, singsong. “Hahahahaha – you’re all very quiet down the back …” The poor driver didn’t know what to make of us, but the furrows on his brow were smoothed by the several dirham which God firmly squished into his open palm! #yougreasemineandI’llgreaseyours. A good night had been had … the trauma of the Wild Wadi park was now firmly obliterated by a myriad of alcoholic waves washing me in their toxic waters. I went to bed – well I must have done, I woke up in it! But oh dear, waking was one thing, “being” was another. A very cold shower, a very light breakfast (water) and a long, lie under an Olympic sized beach umbrella was the order of play the next day. Derv was Swerved and would be until such time as the toxins left the building!. ANON (as they say in all the best literary circles!). A new dawn, a new day, and we’re all feeling much chipper and cheepier!. Swervel decided that she wanted to go kayaking, Derval the brave, that great Gaelic adventuress was off again. God was not inclined (there is a pattern forming here isn’t there!!). I booked myself in and at the appointed time went off by myself (again) whilst “Super Slick” stayed at the end of sandy strip super cool bar, having a cold beer. He put on his headphones, got immersed in his book and forgot all his troubles and woes (this would include me, natch!). There I was and the guy in charge hands me the helmet (hate! ), the life jacket and the paddle. He told me to wave my arms, should I run into any difficulty. (laughs sardonically). 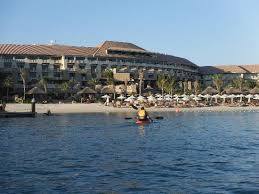 After some instruction, I was put sitting in the kayak, strapped in and with a light shove, off I sailed into paradise. “Sail away, sail away, sail away” – words Enya, sentiment Mine. It quickly became very apparent that I did not know how to paddle a kayak. Simples, not! “But” said I to no-one in particular, “It’s ok, I’ll figure it out” – that good old can do attitude never fails to get me in the manure! 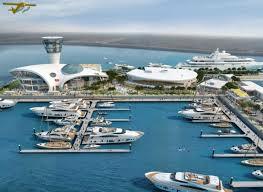 The lagoon I was in was surrounded by the Marina – just to give you the picture. There were several yachts moored in the docking area, well not yachts, YACHTS. Gimpy Mc Swerve a la kayak in a lagoon surrounded by mega yachts, nice. Burnt red face, frizzled hair dot com, the picture of maritime elegance. Accompanied by something along the lines of – If you fall into the water – DO NOT MOVE! I often find that moving in the sea is kind of essential to stay alive myself, but yet again, says I “Yep no bother” and off I went. at which point the owner came out, big scorpy chops, flaming cheeks. He apologised. He then told me how to use the oars, and steer the kayak. I was duly humble and thankful, we parted on good terms and off I went. All was well. I was getting the hang of this. Yay, simples. I had the knack. I went around the lagoon, all happy bunny, and then I went to the edge of the Marina, it was all very Titanic. pulling out of the dock. I am here and he is there, and he will see me, course he will, all is well! Except for the fact that the motion of the catamaran was making waves in the water. I tried to row forward, but the waves pushed me back. He was heading for the exit from which I was coming. It began to dawn on me that the dude was not noticing the dudette. It was all about the catamaran, nothing about the kayak. I started shouting at him (haha – yeah, #idiot). I waved my paddle (good for toning upper arms). I was practically swinging it over my head, whilst screaming at the top of my voice. But to no avail. He couldn’t hear me over his blaring stereo; couldn’t see me over the lip of the catamaran. Oh God – here we go. The catamaran hit the bejesus outta ma wee kayak. I lost my paddle. Did a full 360 degree turn underwater, and bobbing back up again (no, it was not thrilling) without picking up any stray jellyfish, I was left sitting there. Eventually the man of my dreams began to wonder where I was and came a lookin’. He espied Little Miss Red Face sitting mid lagoon, frantically swinging her helmet over her head!! Small mercies. Steve Silvermint, our cool clean hero (you had to be there) got into a canoe and paddled out to my rescue. This was followed by a lot of tears, a lot of hugging, a lot of wringing out clothes (yet again), more brandy (any excuse at this stage!!) and another long lie down in dark contemplative silence. All this and we’re only half way through the week folks!! More to come. Caching the Cashmere and Sifting the Sands. The Dooby continues. I’ll leave these fond maritime memories with a toon!….A bit of flow, something which in Dubai, I appeared to be extremely lacking. This time, we are doing a blog with a twist. Instead of a straight review, discussion of the facts, we are delighted to welcome long-time Talk Talk fan, Thomas Lohuis, who has very kindly agreed to give us his perspective on this firm fan favourite. We’ll be handing over the reins to Thom shortly, but first, some facts. ‘John Cope’ was originally released on the Parlophone label, in September 1988, as the B-side to ‘I Believe in You’ from the album “Spirit of Eden”. It was subsequently included on the 1998 compilation album, “Asides Besides”. Demoed in 1985, (seemingly a home recording made by Hollis exists somewhere in the multiverse) it was destined for the “Colour of Spring” portfolio, but didn’t make the final cut. It was held over for inclusion on the next album, “Spirit of Eden” but yet again, failed to make it into the final track-list. Instead, the band selected it as the B-side to the only single release from SoE. Sad, deep, delicate, beautiful, mournful. It is overwhelming in it’s understatement. Part blues, part jazz, the vocal is simple, the guitar riffs raw and damning, the organ playing twists in gloriousness. (I hear a touch of Ray Manzarek/Doors in there). As Steve Winwood played organ on the “CoS” album, I am tempted to think that he may have contributed to ‘John Cope’, though in all probability it is more likely to be Tim Friese-Greene flexing the keyboard muscle. Piano, keyboard, and organ are all sampled throughout, propped up as usual by Lee Harris’ subtle percussion. Who was John Cope? 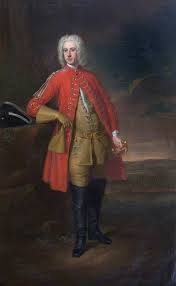 The choice would seem to be between an American Sound Engineer of the 30’s/40’s, or, a British MP and Army General who fought, and lost, in the Jacobite Uprising of 1745. What we do know for certain, is that Mark Hollis used this pseudonym to work on both solo and collaborative projects, such as the Allinson Brown ’98 AV1 production. Now we hand over the reins to Thom – I hope you enjoy his wonderfully insightful perspective on this much loved track. 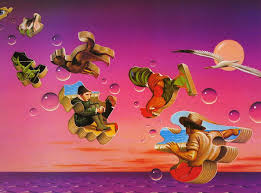 When did you first hear of Talk Talk and how did you come across them? What was it about them that you liked, or were particularly drawn to? ++The first time I heard them and the thing that got me interested, was a game called GTA:Vice City from 2002. On the whole (amazing 80’s) soundtrack, one song really caught my attention. ‘Life’s what you make it’. The subject of the lyrics and the ‘missing’ bass were what first drew me to the song and the more I listened to it, the more brilliant I thought it was. I just had to know more about the band, and that’s when I found out that great songs like ‘Such a Shame’ and ‘It’s my Life’ were also theirs (big hits in Holland). I started to try to find out more about them. I had no internet at the time, but my brother-in-law did. So he got me a usb stick with a few songs he could find on eMule. Three songs stood out and got me so hooked I never let go. ‘Myrrhman’, ‘Taphead’ and ‘After the Flood’. I saved up and bought every Talk Talk CD I could find, which were the the first four albums (1997 remasters) and ‘The Collection’. Why is “John Cope” your favourite TT song? Are you aware of the notion that it was originally intended for “Colour of Spring”? Do you think it would have been a better fit with the CoS sound? or do you think it works well with the SoE sound (b-side I Believe in You)? So – John Cope – who is he – American Sound engineer, Soldier, or none of the above? ++I thought he was some classical composer from hundreds of years ago. But I think I got that mixed up with John Cage, someone Mark admired. I do know Mark used it as a pseudonym for himself on a few occasions. I really have no idea who it is. Neither do i know who Jimmy Finn is (mentioned in ‘The Rainbow’). 4.39 mins but only two verses made up of 4 sentences? Does this work? What do you think of the extended instrumental?? The instrumentation is also pure genius. The instrumental and vocal pieces in Talk Talk songs are, especially on “Colour of Spring” and ‘Spirit of Eden”, always perfectly balance out. That’s just another thing that makes Talk Talk so brilliant, they completely compliment each other. Do you think that Hollis was already beginning to scale back on the role of the vocal, and, taking a more simplistic approach to lyric writing? Describe this song in one word. ++I think we all know which word that is going to be … exactly …’Brilliance’. Well, actually ‘Pure brilliance’ and ‘Emotion‘ and ‘Inspirational’ and ‘ amazing’ and powerfull’ and ‘ Legendary’ and ‘………..
How clever is Thom….? Don’t you just love the subtlety of what he did just there with the last response, following the Hollis journey into silence. There you have it – a perspective on ‘John Cope’, nobody’s child, but much loved and never forgotten. We’ll draw the story to a close with the song (unfortunately no live recording exists) and as always the lyrics. 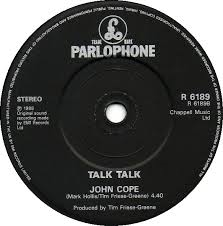 Talk Talk – “John Cope” (B-Side “I Believe in You”, 1988). 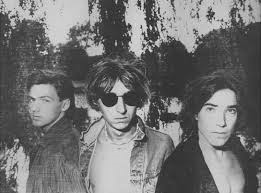 When Talk Talk went into studio to record their second album, they did so in the knowledge that they would inevitably garner the same damning feedback which they so stoically received for their first affair, “The Party’s Over”. Originally given the title “The Chameleon Hour”, “It’s my Life”, recorded over the course of 1983, and, released by EMI in 1984, benefitted from several changes:- in personnel, instrumentation and musical direction. Keyboard player Simon Brenner was despatched, duties being transferred to the now legendary Phil Ramacon (songwriter//producer); guitars & acoustic piano were in, and so was funk ‘n jazz. Track 8 on “It’s my Life” EMI 1984, is the song “Does Caroline Know”. Fluid, slick and sophisticated, it is a far remove from their “post-punk” sound of 1982. More resonant of Otis Redding, a huge Hollis musical influence, the soulful dynamic is clearly evident between the sad overtones of Hollis voice and Webb’s multifaceted, exquisite basslines. It is the percussion driven rhythm section that is fundamental to this song’s success. Intricate, clever percussion underpins the sound, which is overlaid with sweeping, twisting, melodic synth of Tim Friese-Greene, a new addition to the Talk Talk studio line up, who was to become Hollis’ song-writing collaborator and a significant contributor to the future development of the band’s musical style. 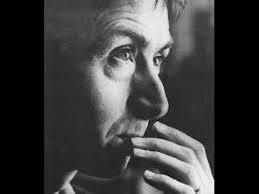 Sample 1 – “Does Caroline Know” – Taken from Talk Talk Live in Montreux, July 1984. The above sample opened with this snippet from another Talk Talk song – “Mirror Man”, which leads us nicely into this review by the Record Mirror, written by someone purporting to be a music journalist. 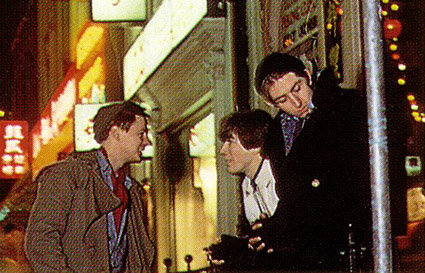 “Talk Talk are probably really nice geezers. Like a drink, good to their mums, maybe even go to football. Good blokes. EMI like ‘em too. Because they can play their instruments and they comb their hair and they write songs with a smattering of tune and they write words that say precisely nothing. EMI must like ‘em – look, they’ve let ‘em make another record. Another record to go with the Private Lives records and the Re-Flex records that EMI seems to bloody adept at excreting on Mr Pop Punter. The difficulty I have with the above review is that the reviewer (who was reviewing the full album) is clearly incorrectly comparing Talk Talk with bands with whom they have absolutely nothing in common. Too often have they been inaccurately considered in the same breath as Duran Duran – different sound, different image, different MO, and, likened to Roxy – all down to Hollis’ similar posturing on stage (there are a raft of other comparisons including Dexy’s Midnight Runners, Soft Cell, Fergal Sharkey, the list is endless!). Alluring alliteration I think not. Cynically smug, morelike. The reviewer misses the point of “Such a Shame”, the excellence of “Tomorrow Started” and chooses to completely ignore the shift in musical gear which the album takes, and the move towards musical maturity of which it is indicative. Sample 2- “Does Caroline Know” – Taken from Rotterdam Live September 1984. The live performances of “Does Caroline Know” have these long piano driven, orchestral-like, instrumental sections, which the studio version doesn’t have (the original is 4.31, the live performances are averaging over 8 minutes). In fact, the studio version doesn’t contain any acoustic piano – it’s all whining synth playing over a light-touch percussive backbeat and funked up,looping bassline. It is a much simpler, less melodramatic affair than it’s live counterparts; much more electronic in sound than the elaborate, high level arrangements of the lives. Doffing of hat to Ian Curnow for conceiving of an amazing synth produced ‘electric guitar’ solo. “Rockin'” . Who said Talk Talk didn’t have an edge? It is with the studio version, that this musical journey comes to an end. Lyrics below, as always. And as for Caroline, who is she and what does she know? Well, you’re going to have to ask the elusive Mr Hollis that one Good luck with that then!! TALK TALK – “DOES CAROLINE KNOW” 1984 (from the album “It’s my Life”, not released as a single). “IT’S MY LIFE” ARTWORK BY JAMES MARSH. 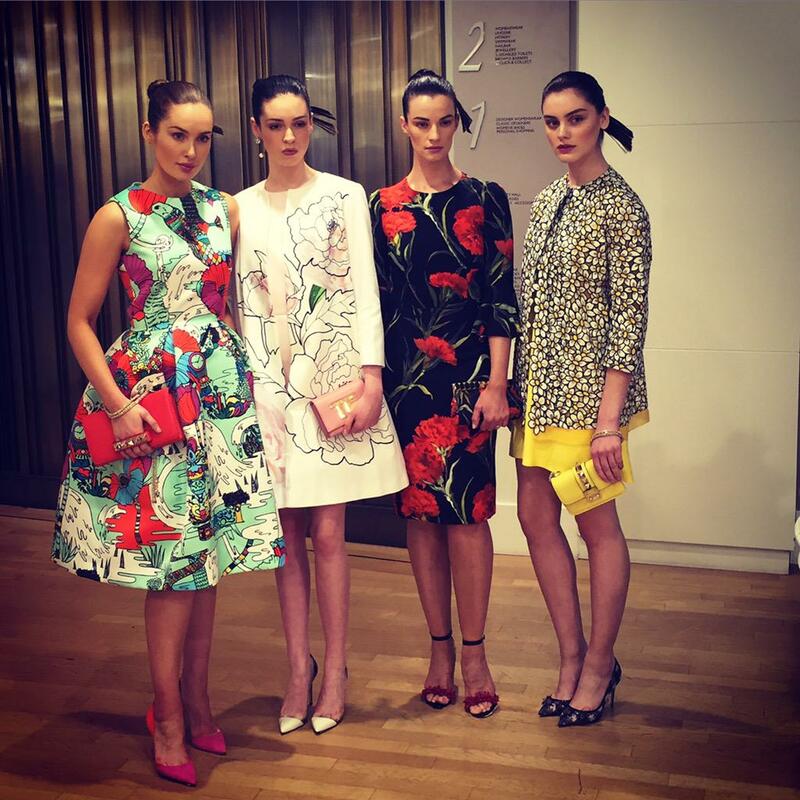 A Confection of Couture…..the Brown Thomas SS15 Collections. Last week, the Brown Thomas Personnel Shopping Team, under the watch of Michelle Curtin, held an uber glam ‘Occasion Wear’ event in the elegant surrounds of their 3rd floor restaurant. On hand to meet and greet, Michelle, Caroline & co, welcomed the fit and fabulous to this stylish soiree with hugs, smiles and a glass of Champagne to help get all the mavens in the mood. Like kids at Christmas, delighted faces found goody bags on each seat, containing beauty treats from brands such as Givenchy and Clarins to name but a few!! Personal Shopping and Beauty info, together with details of the evening’s “Collections” show, was accompanied by a very welcome invitation from Martina Riches, to a complimentary appointment with the new BT Personal Beauty Style Team . Woo! Bubbling with Bolly (well not exactly, but who cared) and brimming with excitement a jam packed restaurant was served up an healthy Chicken Super Salad, nom, which was followed by a very naughtily indulgent dessert – a fabulously created Lollipop Garden. Set in a “terracotta flower pot”, and bedded in chocolate and orange biscuit “earth”, guests were presented with lollipops three ways – Blackcurrant Pastille, Sugar Dusted Chocolate Truffle or totally scrumptious Laduree Macaroons! It was the height of #chicuteness. Set to some subtle musical funk, the highlight of the evening kicked off once teas and coffees were served. Ireland’s Top Models – Roz, Sarah, et al – were all on hand to showcase the perfectly put together ensembles which the PS team had smartly siloed into some very cleverly named categories. First up was “Bloom Boom” – Diarmuid Gavin eat your heart out. Large Red Cabbage Roses, Tulips, shocks and sprigs of multi coloured flowers were all the order of the day. The predominant colour theme was Black/Red, but there were nods to creamier beiges, neutrals and pale yellows on which the flora were detailed. 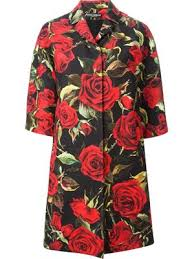 Here we have some examples of this floral display worthy of a Chelsea Gold – Dolce & Gabbana Coat, DVF coat and dress. 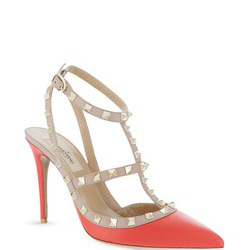 The rocking red Rockstud Shoe is Valentino (who else is vibing all things “rockstud” this season! All of these wonderful pieces were accessorised with assorted wonders from the BT Shoe & Accessories Halls – shoes/sandals from Valentino, Manolos (lots of Manolos! 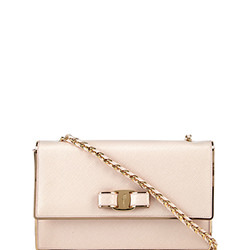 ), handbags/clutches from Tom Ford and Mulberry, and the most striking single piece (or individual) earrings – to die for – by Lanvin – #WANT. Not for the faint hearted, some of these pieces were pure psychedelia. 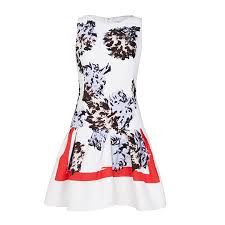 The #glamaratti kicked off with a Lilac/Yellow pushy Peter Pilotto dress, accessorised with Philippe Ferrandis earrings – you want to be noticed, got a body that is more CON than Elle Mc Pherson, this is the dress for you! 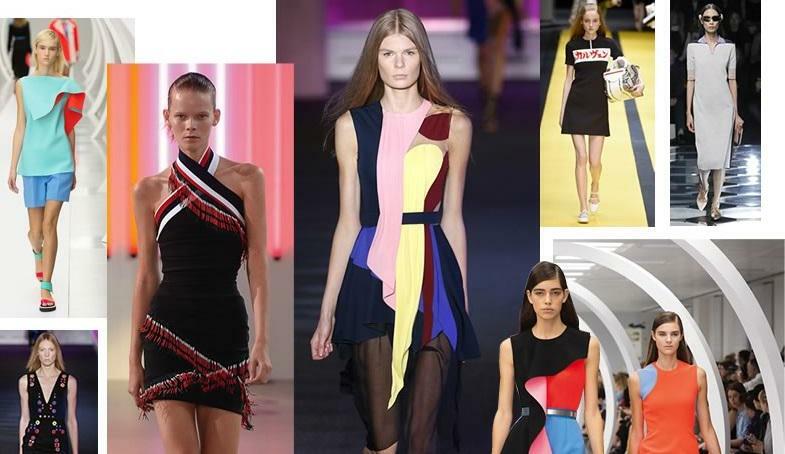 “Sporting” (pun) gilets, skirts and some very fun shorts (Roksanda), the cast of beauties lead us through a maze of colour madness from VB, Preen, and Roksanda, to name a few. 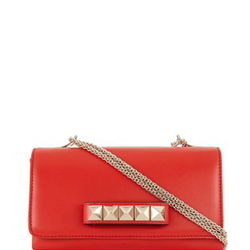 Again, accessory hotness was served up by the likes of Balenciaga and Salvatore Ferragamo. Next up was purity itself. Organic fabrics swirled in linen and silk. Raw edges, high waists, panels, layers, or in the case of the VB pant suit, so tight it was for all intents a second skin, this was a showcase of natural fabric at it’s best. The standout piece was without doubt from that American style sorcerer Tom Ford (sadly I cannot locate a photograph). A white, one shouldered dress, with a panel draping over one arm, it was of the most exquisite tailoring, the most exact proportions, a thing of extreme beauty, elegant in it’s seeming simplicity. Accessorised with a pair of Manolos and sparklingly colourful earrings by Kenneth Jay Lane, it was one of the ensembles of the evening. Other stand out pieces of zen-ness were the VB playsuit (as worn by the lady herself in the photo above) and a stunning Balenciaga Black and white coat. This really was the collection for the “LADIES” – elegant, muted colours – black/white/navy – mainly clean lines, with sprinkles of colour #pleatedness – the Russet Sportmax mini dress springs to mind – this was the sophisticated side of Summer Styling. The accessory du jour, THOSE Givenchy Shoes, were paired with the Acne Gilet/Skirt ensemble, pictured centre! The fun funkiness of the evening came in the shape of this 70’s revival. It was young, floaty and very retro. There was a pastiche of pastel perfection, which we can see here, with these three confections worthy of an Italian Gelateria (the Chloe crochet to the knee dress in spearmint, with it’s delicate capelet was particularly charming). The dresses on either side are (#very) Valentino – the full length dusty pink creation has a train detail down the back!). Meanwhile, a blouson BabyDoll from MSGM flirted with thigh high split dresses from Gucci – all very Studio 54. Brought together with accessory pieces from Saint Laurent and Marni, this was a rainbow of reverie and retro. The finale closed with a feel of uptown funk of West-End and NYC Tribeca. Carven, Preen and McQueen were on display in all their 21st century modernity. A hip Oscar de la Renta playsuit, rubbed shoulders with a Pink and Black chiffon Erdem top/skirt combo. 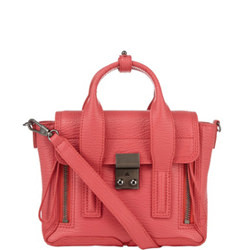 A Karen Millen pink strappy Summer dress had a brief dalliance with a Tom Ford man’s suit – yes, there were a few men’s suits on show, and very dapper they were too). But the highlights of the night went to a stunning ivory Alexander McQueen coat, and equally amazing ivory creation by Erdem with cut out detail, and this #Amal inspired piece by Christian Dior. A most inspiring, well hosted and perfectly choreographed evening. 75 Ensembles showcased crossing every style, genre and event. Still uncertain about your style, or, what to wear for a certain occasion, well now you know where to turn. The Personal Shopping team in BT’s have got you covered. PS. And the good news is, they do all the leg-work! And the service is FREE!! **No payment was received for this blog. Photos used courtesy of Brown Thomas Website, BT Twitter account and general designer websites. All rights reserved. Copyright of Derval Mc Cloat. A literary genius friend of mine recently gave me some advice! So here is one short tale, from another life-time, in which our heroine was a 12 year old un-domestic non-goddess. Fado, Fado, when I was in first year in secondary school, one of the mandatory subjects on my curriculum was Domestic Science, aka Home Economics (usage of nomenclature verbosity dependent, tongue firmly prodding cheek). Now, my interaction with a cooker to-date had been fairly limited; in fact, the only “culinary experience” that springs to mind prior to this point, was my attempt to cook my father’s dinner – which consisted of 1 x Pork Chop and 1 x Onion, to be fried, in one frying pan until translucent (ie the opposite to charcoal). The Pork chop went ok, ish. However, mid way through cooking the onion, I decided I needed la toilette. Off went I, and promptly fell into some kind of romantic reverie (it’s a pre-teenage thing) and completely forgot about said onion. God knows how many minutes later, I descended to the kitchen to find a frying FLAMBE of flames and promptly fled screaming out the door into the front garden, from whence I spotted a new, as yet unknown neighbour, out mowing his lawn. “Hey you with the lawnmower” (well how do you address a stranger neighbour to whom you’ve never been introduced. 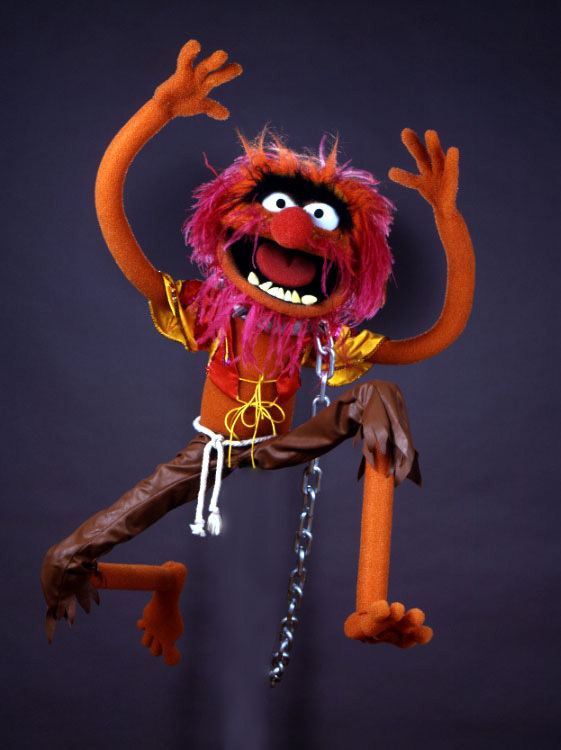 He looked over at my screaming pre-teenage self, all tonsils and wildly waving arms (all very Animal off the Muppet Show) and came running over #OurHero. “It’s on fire, it’s on fire” screams I, and in he ran, #Braveheart, grabbed the pan and running back outside promptly flung it down onto the grass! “They looked like nice mushrooms” he quipped, before heading off back to his mowing. Mushrooms!! Now that kind of tells you how far beyond translucent the onion had gone! A sign of things to come? 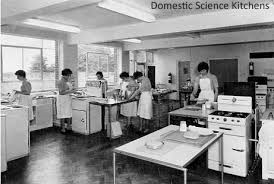 So, back to secondary school and the Home Ec class. Now our class of 30 odd pupils (all girl Catholic Convent School, no shoes or boys allowed) were divided in two for HE. 15 little treasures were allocated to the “oh so young and lovely” Mrs Magee. 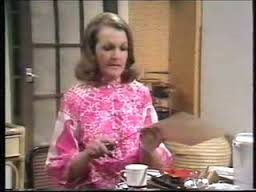 The other 15 head-bangers were allocated to the Margot Leadbetter meets Margaret Thatcher of the Kitchen – cue Jaws theme-music, “MRS LILLIS”! Now Mrs Lillis was what you might call a “prim conservative type”, her tight perm being a coiffed symbol of her uptight nature. Tight dyed blonde curls, small dark piercing eyes, and a snarl to match a bulldog. Personally, I think this was a “dramatis persona” long ago conceived and cultivated over time, to achieve a desired effect on hormone infused thick as plank teens, and, that underneath the neat white day coat, she was more Nigella Lawson that we were led to believe!. Now the routine went as follows: Knitting & Sewing versus Cookery on alternating weeks. The Knitting and Sewing class was a whole different ball game, and would probably in itself make a soap opera to rival Corrie. This particular week was the turn of Cookery class and the recipe in question was “Shepherd’s Pie”. 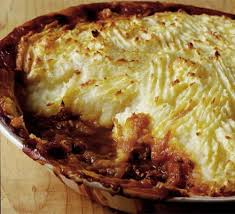 Now I don’t know how familiar you are with Shepherd’s Pie, but it is essentially minced beef and onion, in gravy, topped with mash and cooked off in an oven. Simples? Well, you’d think so wouldn’t you! UM, gulp. I was paired off in class with my then new BF Jackie and so we set to the task of browning, seasoning, frying and so forth. First hiatus, we added too much tomato puree (are you sure it said on Tablespoon? ), and our nice browned beef was looking decidedly sun burnt. Then, having as yet to be introduced to the notion of “liquid density” we set about making the gravy, only to get the consistency more watery than the Norfolk Fens. We are now looking at a bright red puddle “inna” dish in which our merry little mincers are in freestyle merriment. (* “inna” nod to the l8 gr8t TP). In a final insult to the legacy of Fanny Craddock, we tackled the mash, and the mash lost. You know that term “lumpy” well, this was decidedly “knobbly in a hilly kinda way”. There was nothing for it but to get on with it. We put the mash aboard the mince, and there it floated, bobbing about like Titanic Tuberous icebergs. We kept trying to push it down, and all we got was “scarlet overspill”. So we gave up, our “mince” was firmly cooked. 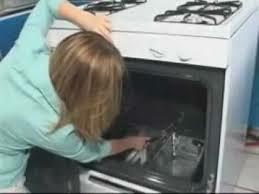 We needed to brown off the potato in the oven, but the ovens were gas, and I came from the world of electricity and couldn’t get ours to light. Over came Mrs Lillis, and took that “clickety flame lighter” gizmo from me, and in she went, head first into the cavernous oven. “Vump” – lights, camera, action. But when Mrs Lillis surfaced, the front perimeter of her hair (that neat, tight, primly perfect hair) was singed to a burnt blonde strawness. Oh dear, cue teenage girls trying not to giggle. We shoved the pie in when she was gone, it having been hidden behind Jackie’s back, thereby deferring the moment of doom. So I did, and plopped it down on the table in front of her. What the woman didn’t know was that it was straight out of the oven, and, what I didn’t know was the power of heated earthenware. Piping hot earthenware on oilcloth equals “meltdown”. The dish had burnt a Jesus hole straight through, it had melted all the plastic. I can’t remember exactly what was said, but it was quite the tongue-lashing, and the punishment? Barred from the next cookery class! #Punishment?? Who are you kidding? I had to do an hour of study, alone, in a room – which for an only child is pretty much life as you know it. To this day, I have never again attempted to make Shepherd’s Pie. I have no doubt that I could make a reasonable stab at it, but to be honest, the scarlet slip-sloppetty, gelatinous gunge of an image that has a firm place in my memory, has pretty much turned me off ever wanting to go there. And so there you have a wee memory from one of the most hilarious cookery classes in the history of T1. I hope you enjoyed reading it, as much as I enjoyed recalling it. Poor Mrs Lillis. What she had to put up with. No wonder her hair was so tight, probably curled up with tension! And so adieu…I’ll leave with this musical nod to the world of the “kitchen”. You will NEVER find me in the kitchen at parties!! “All you do to me is Talk Talk”, but it’s a moot point. If often amazes me when I read reviews of bands/artists/musicians from back in the day. I read the content and wonder if the review has been mistitled? Am I actually reading about this and that band/singer?? Well, yes. More often than not, the title is correct, and the anti-sentiments ARE indeed directed at the artist(s) in question. I use the term “anti-sentiment” predominantly because I feel that a lot of these subjective commentaries are made as a result of some gagging, heaving reflex that some journalists have when a new talent comes on the scene, especially those who appear to be the apple of the record labels eye – something which befell Talk Talk after they signed to EMI and were heavily promoted as being the next big thing.